The products we make are all made from high-quality epoxy resin. The larger part of our production is custom-made according to the specifications of our clients. For doing so, we use two different techniques: vacuum casting and pressure gelling. With these two techniques we can make products from small to very large sizes, from small series to large quantities and of different levels of complexity. Mekufa produces a wide range of cable terminations for almost all well known high-voltage cable manufacturers in the world. Products range from the well-known wet-type cable terminations in grey and brown to the dry-type cable terminations in Aluminium oxide filled epoxy as you see on the left, ranging from 72kV up to 550 kV. Contact us for cable terminations for your specific project or application. These GIS components are used as insulating components for well known GIS producers such as ABB, Siemens and GE in GIS from 72kV up to 550 kV. 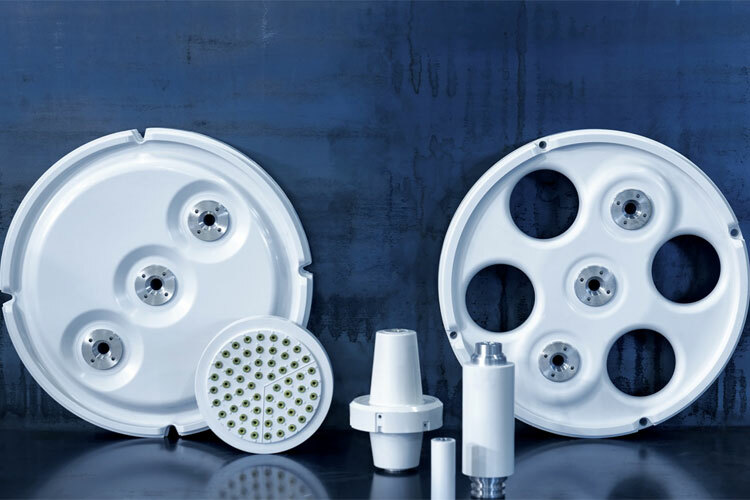 They are fully tested on leakage and undergo a pressure test. Contact us for GIS components for your specific project or application. 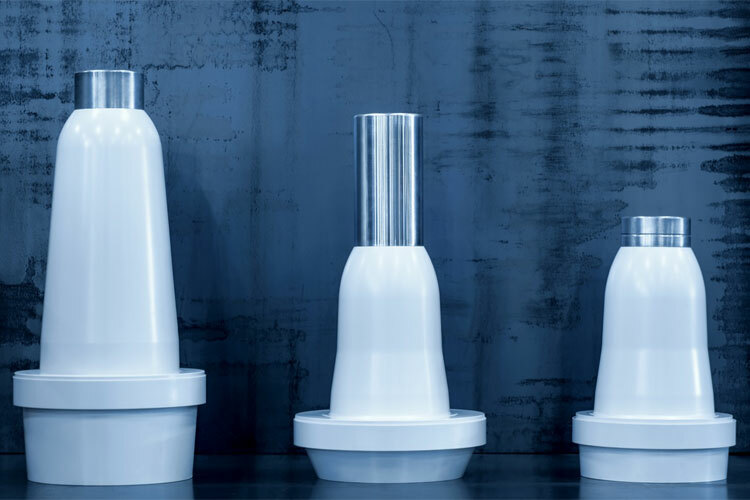 These medium voltage insulators can be produced in high volumes and are fully tested. These components find their application in gas insulated MV Switchgears. Contact us for APG products for your specific project or application. 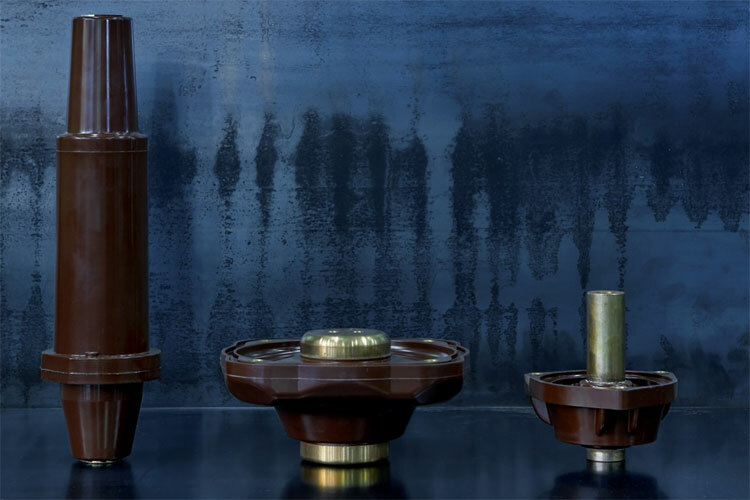 These epoxy resin insulators are custom-made to suit special requirements. We can make any size up to 2.5 metres and from simple to complex shapes. 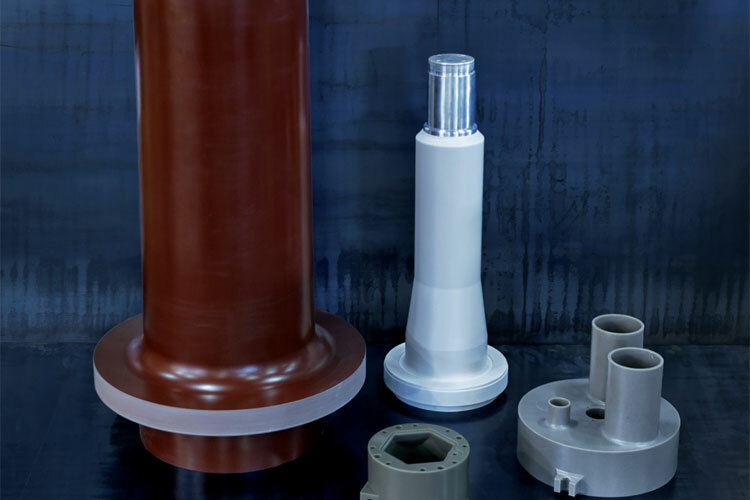 These insulators find their application in electrical and non-electrical environments. The cable termination on the left on the image is a cable termination with a height of 1300 mm and a diameter of 620 mm. It is made of over 160 kg of resin and vacuum-casted in one casting. Contact us for a Special for the specific requirements for your project or application.